Do you know what is happening on April 15th? Aside from the fact that Mark Zuckerberg is expected to be responsible for over one BILLION dollars on his 2012 income tax return which CNN Money says is "really unusual... even for billionaires," what ELSE is happening? You give up? Well pull up a chair and keep reading. On April 15th, The Supreme Court of These United States is hearing oral arguments in the case against Myriad Labs on the issue of gene patents. 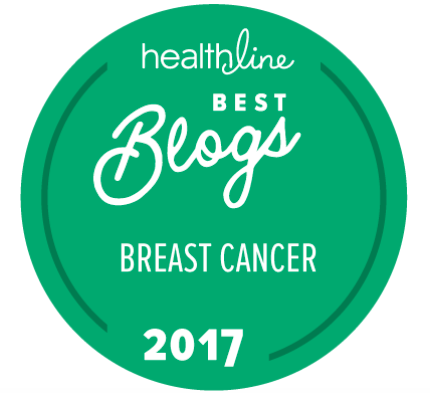 Many of us are aware of what is often referred to as the breast cancer gene. A lesson and a canned answer. You know those annoying questions so often asked by others when they hear about someone else's breast cancer diagnosis? "Is it in your family?" That's one that generally comes out in a somber and solemn tone. In my case, the answer is, unfortunately, a resounding "YES!" which for the most part eases the questioner. It can be frustrating but in keeping with the way I choose to live my life, i.e. "I can't be a mean person unless someone is being mean-spirited," I most likely will not start spewing facts. At least not in that precise moment. "Yes, I have the gene. In fact, I have BOTH of them. As a matter of fact, so do you, and so does every other person on the planet." I would imagine that might fall flat or I'd lose a friend or I'd cause complete panic and pandemonium. The right thing to do would be to mention: "It's Not About The Gene"
The question isn't the gene itself but rather, is there damage to the gene? Check that. GENES. Is there a mutation that is known to cause cancer on either of those genes--BRCA1 and BRCA2? The proper question is, therefore, "Are you carrying a mutated gene?" or "Are either of your genes mutatated?" or better still, maybe the question isn't appropriate to even ask, but we all know, once we share that we have had a breast cancer diagnosis, it becomes a no holds barred Q&A. Most of the time. The point? 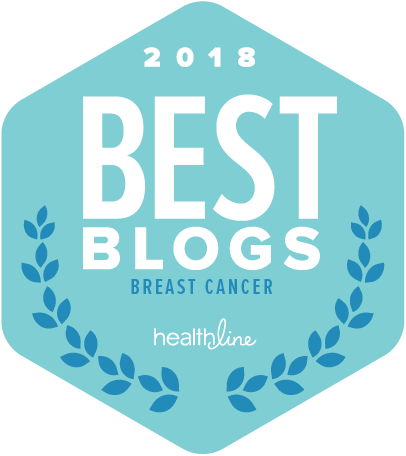 I've shared in more places than I can recall on this blog and in plenty of other places that my BRCA testing was inconclusive. There are four possible results that are returned when one opts for BRCA testing. The gene is completely normal. The gene contains a mutation that has already been determined to be a known cancer causer. The gene contains a mutation that is considered to be harmless. The gene contains a mutation and no one knows if it falls under #2 or #3. There are problems with every single one of these scenarios except for Number Two. How can I say that only bad news is good news? The gene is completely normal doesn't mean that there isn't an as yet unidentified mutation on one of those genes. The gene is completely harmless doesn't sit well with me, either. Why? Only one company is examining those genes. Since WHEN does this skeptic place all of my faith in any one person or organization when they are proprietary and working in ways that fly in the face of everything that I hold in such high regard. At the pinnacle? Collaboration. There is no collaboration, there is no sharing and thus, there is less than a zero confidence factor in the good news results. I don't mean to steal comfort from those who've been told normal or harmless but just imagine how it feels to be number four. That's me. Number Four. On BOTH genes. At the time of my initial testing, the mutation observed on one of the genes was seen in exactly NO other cases. How Freakin' Comforting. And what a giant waste of some perfectly good blood. FYI, I do have this beta-thallesemia thing going on and I can ill afford to be giving blood away for useless tests. Ergo, I am pissed. All wise cracks and jokes aside, there is a patent on those genes and that patent has stalled research. Two genes were honed in upon and only ONE company gets to do any testing on those genes. I can't believe this has been bounced around the legal system for so long but finally, the Supreme Court has agreed to hear the case. On April 15th. 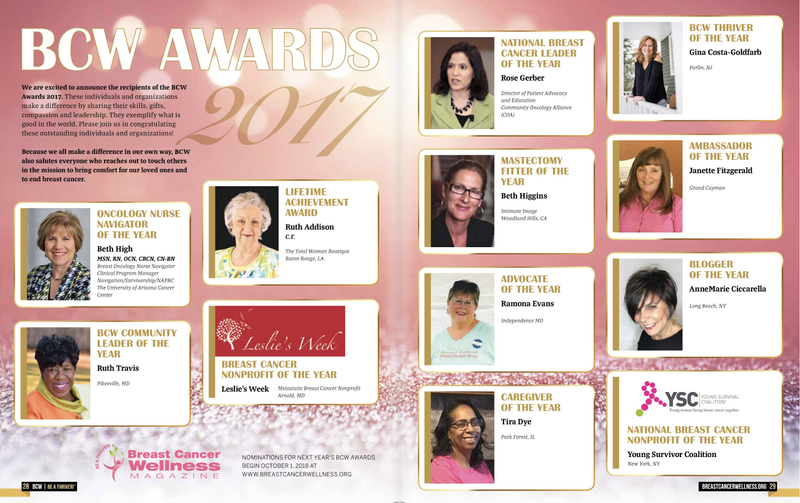 First and foremost, I want to thank Breast Cancer Action for sharing my story on their blog. No one owns my genes. I understand Myriad developed technology but the minute that technology does not work unless MY blood is required, they own me, too. In my mind, it IS that simple. Secondly, I really want to extend thanks to the folks at EmpoweredDoctor.com for sharing this important story on their website. I was invited to join their network and before I added the badge to this blog (look left), I spoke with the people behind the site. If the voice of the patient is being used but not heard, I'm out. But, the voice of the patient has been amplified when this appeared on their site: The Ethical Implications of Gene Patenting. Thanks for the write up and thanks for the accompanying video. Please click and listen to the short video. It explains the suit in easy language. I will be somewhere on April 15th. With any luck, it will be on the steps of the Supreme Court. It's time to stop putting corporate greed above the greater good of the community at large. It's just time. I'll be watching this case. It seems so crazy in my mind that there's even debate, but here we go. You nailed it... it IS crazy that there's a debate and fwiw, I DO believe the very first action was in NYS and the courts here ruled AGAINST Myriad. That's when the insanity began. I know there is a timeline on the BC Action site. My name is Allison and I read your survival blog and it truly has moved me! I wanted to introduce myself and my new t-shirt line to you. I wanted to start a tshirt line because I had a few bad days due to chemotherapy and just wanted to scream out to the world how I felt. One night I had a vision to express myself and others on how we felt about cancer! And my dream came true with www.warriorteeshirts.com. I am doing something special in the beginning of the line and that is limited editions. Part of the proceeds will go to non-profit cancer organizations. I would love for you to take a minute to look at my line and even spread it through out your friends and family. Im also on facebook under Warrior Tee Shirts. 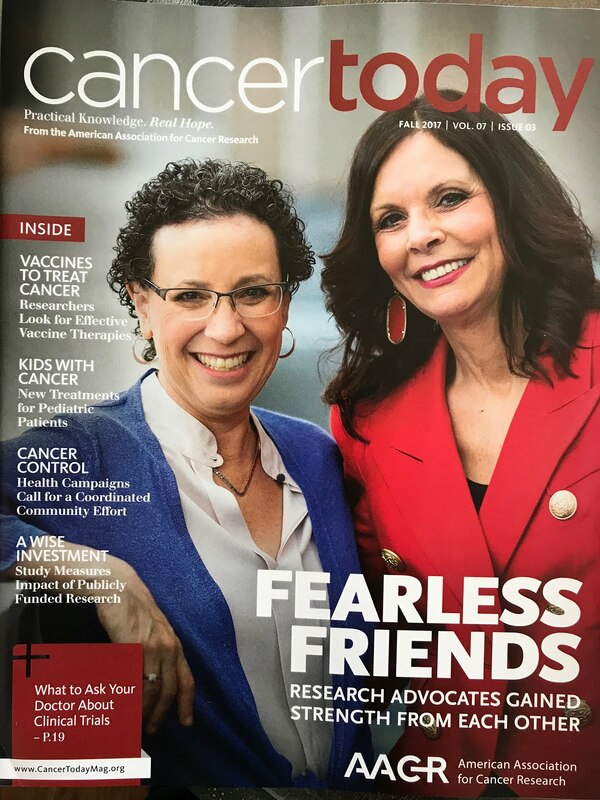 Thank you so much and continue to live a beautiful cancer free life! thank you for continuing to alert us about the Myriad case. the title of this post says it all! when i think of the precedent that would be set if they won "possession" of those genes - totally outrageous, and totally unacceptable!!! the very thought that myraid actually believes it has the right to the patent makes me want to tear my hair out and scream!!! greedy bastards. karen, tc ps - my google acct. is down AGAIN! This is an excellent post, and thank you for educating people about the difference between carrying the gene(s) and carrying a mutated gene. I supposedly didn't have the mutation, but I got breast cancer anyway! 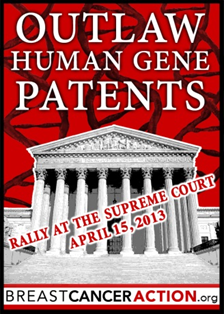 I'm with you on the gene patenting issue, and I'm glad I pulled up a chair to read your post. Good luck in D.C. Knock em dead! THE ONE WHERE WE GET TO SAY "I TOLD YOU"